In this post we are going to create a game object holding the aircraft and a label showing aircraft data that always looks at the user. We are not going to worry about scaling yet – we will handle that from code, in the next blog post. 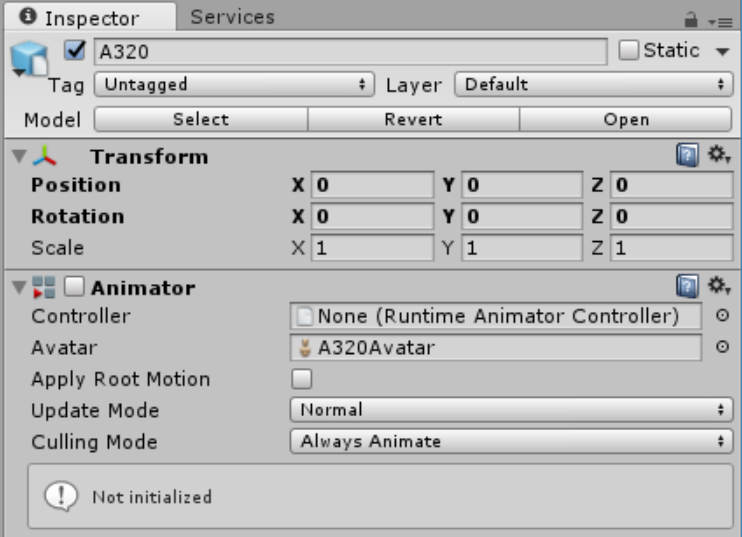 At this point I have no idea what the Animator is supposed to do, but we don’t need it – I think. In this section we create the label above the airplane that displays flight information, like flight number, aircraft type, speed, altitude, etc. 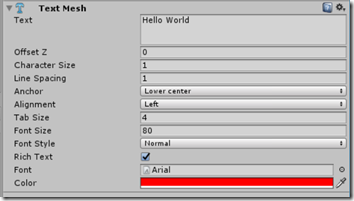 Right-click the AicraftHolder and create a “3D Text” Object. Call this “Label”. That label now sits at the bottom of the airplane, where apparently it’s origin is. Now the fun thing is – as long as you are in play mode, changes in settings are not stored so this is great for fooling around. 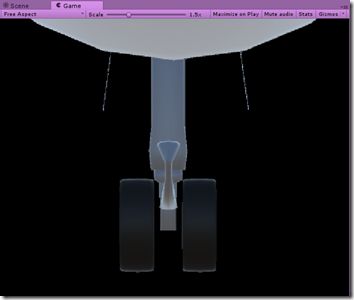 Initially your game screen looks like this – you are looking from under the plane right up to the front landing gear. 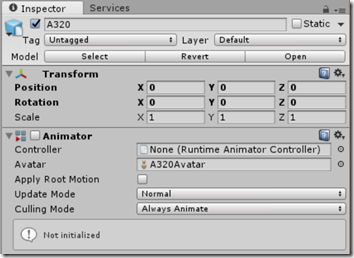 Select the AircraftHolder in the hierarchy, then change Z to 500. 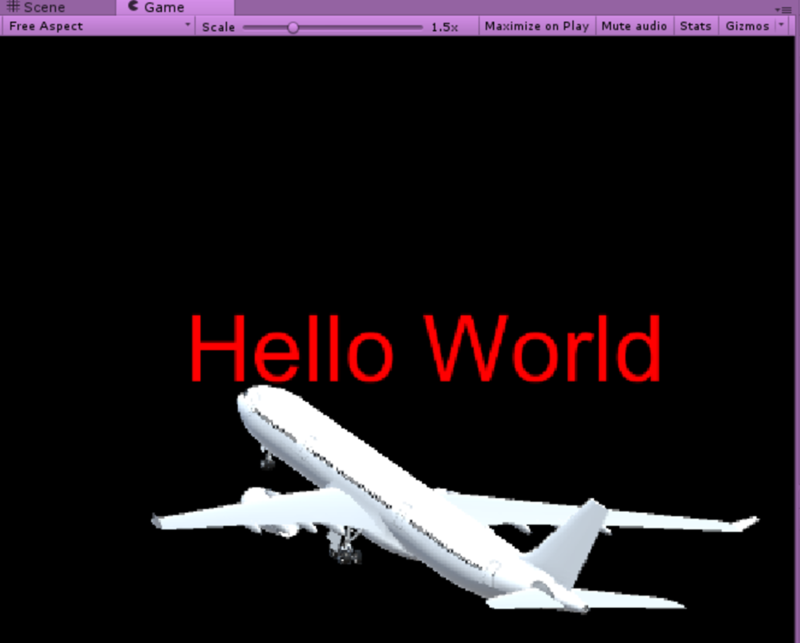 The plane is rotated, we are now looking more or less form the right, but the text is still pointing straight to you, and is readable. Mission accomplished. 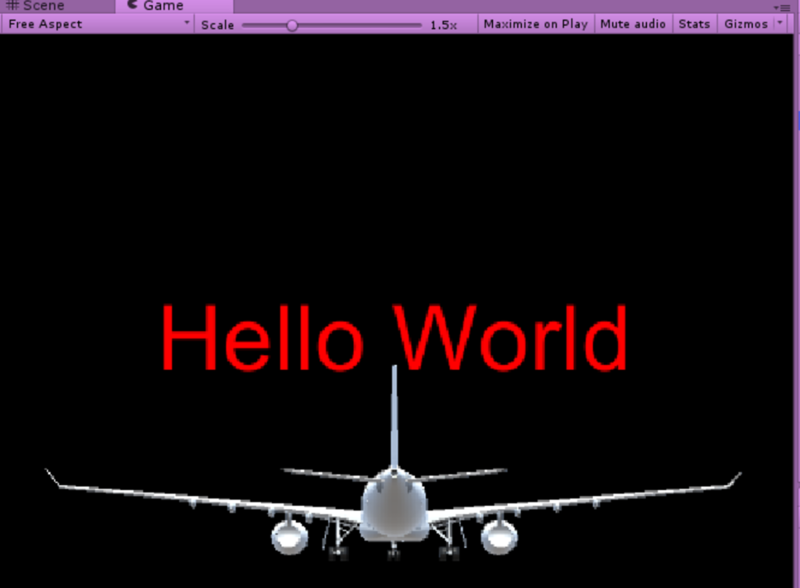 Not bad for two lines of code! Exit Play mode. 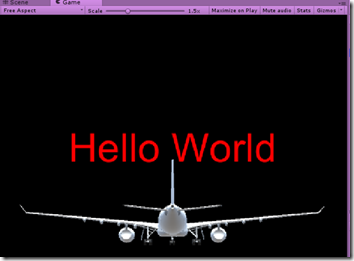 Go to the label once more, and remove the text “Hello World”. The label seems to disappear, but it’s still there, it’s now just empty. It will be filled by code. 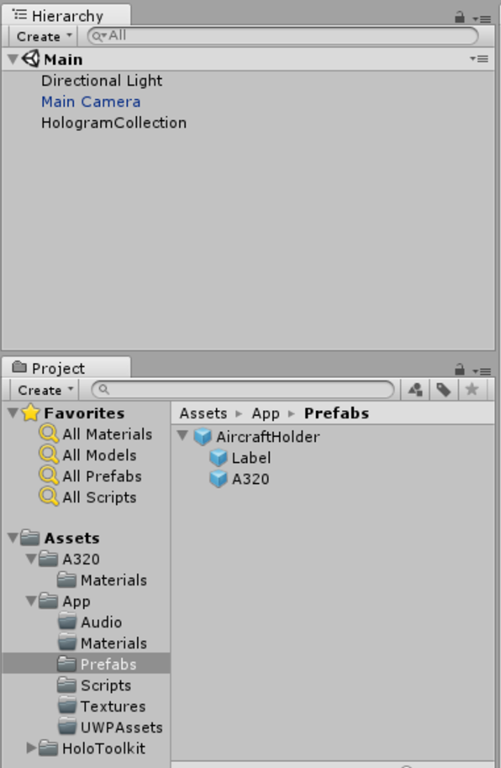 Select the Prefab folder in Assets/App, and drag the AircraftHolder into it. After you have done it, remove it from the HologramCollection. And save the Scene. 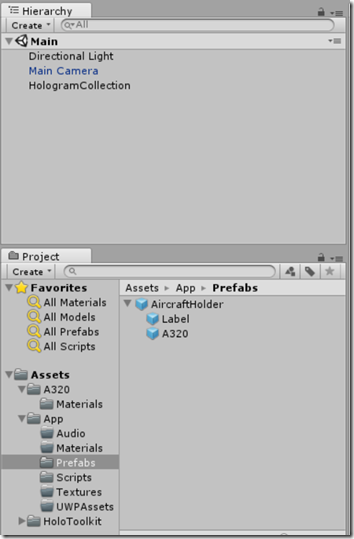 The reason why I am making the AircraftHolder in stead of adding components directly to the A320 model – which is perfectly possible – is that by using this way I can easily switch out the actual airplane model, while all logic and additional components are preserved. 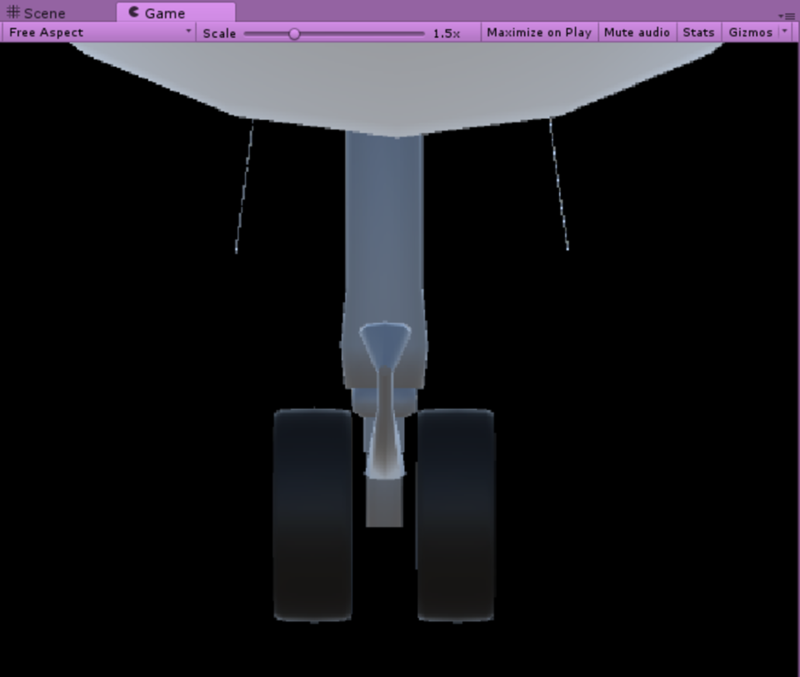 If you find a different (more pretty) aircraft 3D model this way saves you work. Code so far can be downloaded from Github here. Got any screen shots or videos on the device? 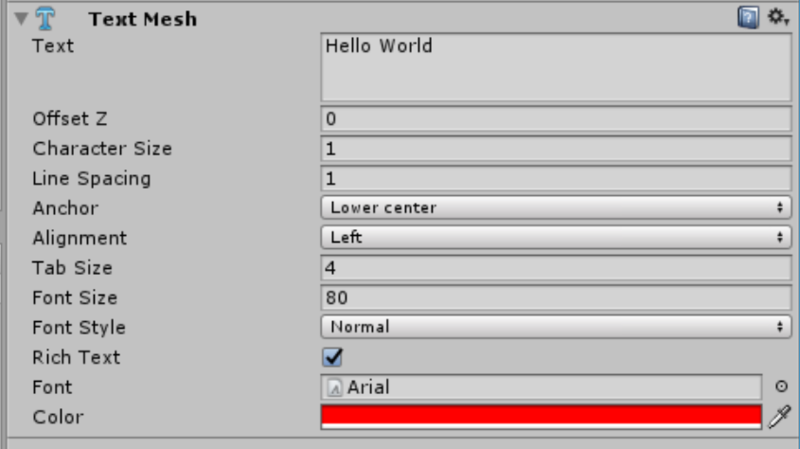 The LookAtCamera script has to be attached to the 3D text "label". Thanks for being sharp @Bram Musters. This has been corrected!